a. How can we support operations efficiently, and with just distribution of resources, while reducing the Government’s ecological footprint? b. Are we using existing stocks? c. Can we use a service instead of owning this product? d. Can we reuse and an existing facility rather than building a new one? a. WHO MADE IT? Does its production and use allow all to live with respect? b. WHAT’S IN IT? Is there a third party assessment of contents available to help us make informed decisions, such as an Environmental Product Declaration (EPD) or ASTM International “Sustainability Assessment of Building Products”? c. HOW DOES ITS PRODUCTION AND USE AFFECT THE EARTH’S CRITICAL ECOSYSTEMS? i. Are public goods, like clean air and water, being exploited? ii. Is use of energy and water, and generation of toxics, wastes and greenhouse gases minimized? iii. Is use of virgin materials minimized and use of recycled materials maximized? iv. Can it be recycled rather than “down-cycled”? v. Is there environmental accountability along the product supply chain? vi. Are the local context and conditions appropriately addressed when we build facilities? d. WHERE DOES IT GO WHEN IT IS NO LONGER NEEDED? i. Is there a complete life cycle plan? ii. Is it designed for deconstruction? If our goal is a sustainably operating government, we can’t rely just on policies and regulations to get us there; we need to change the way we think about our world. 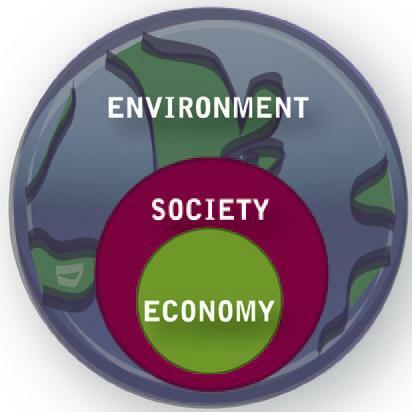 via GSA – Sustainable Development.